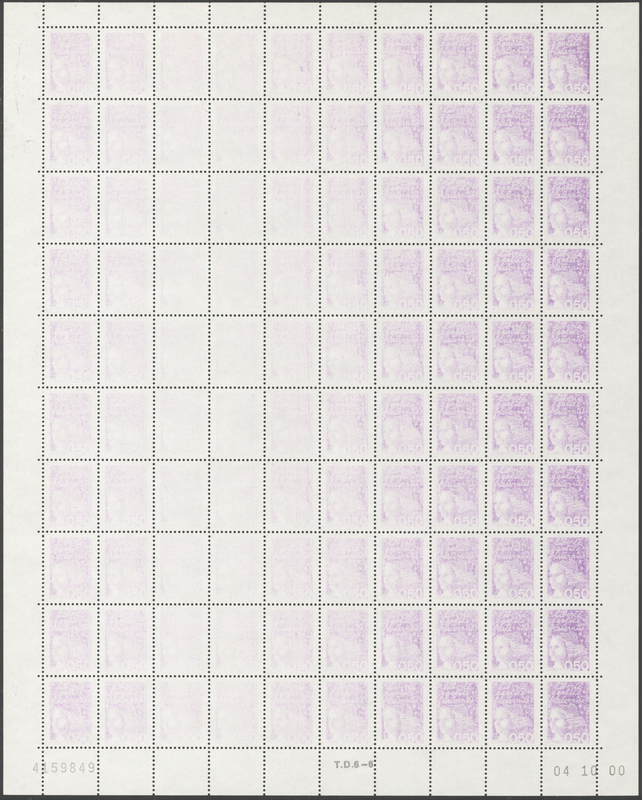 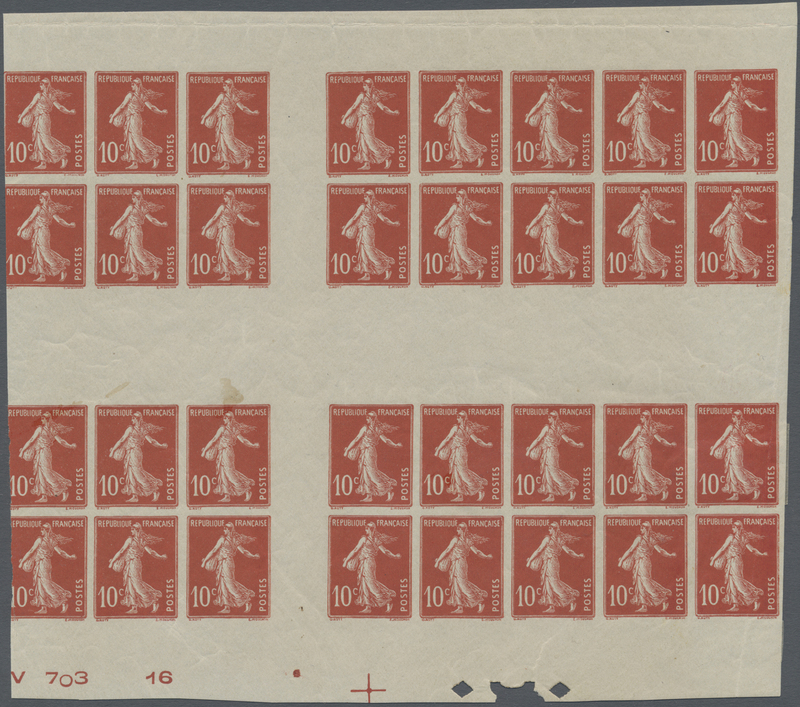 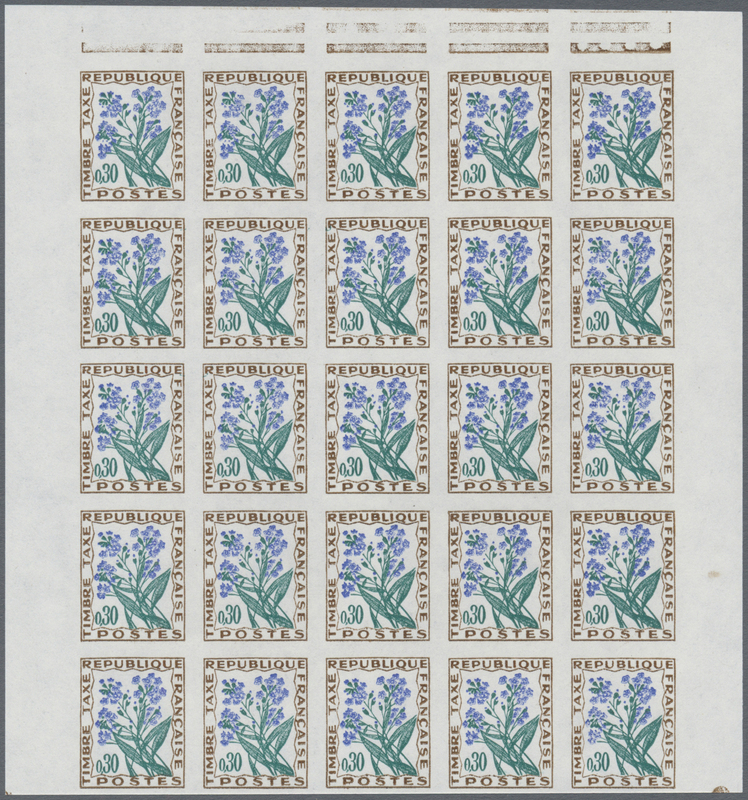 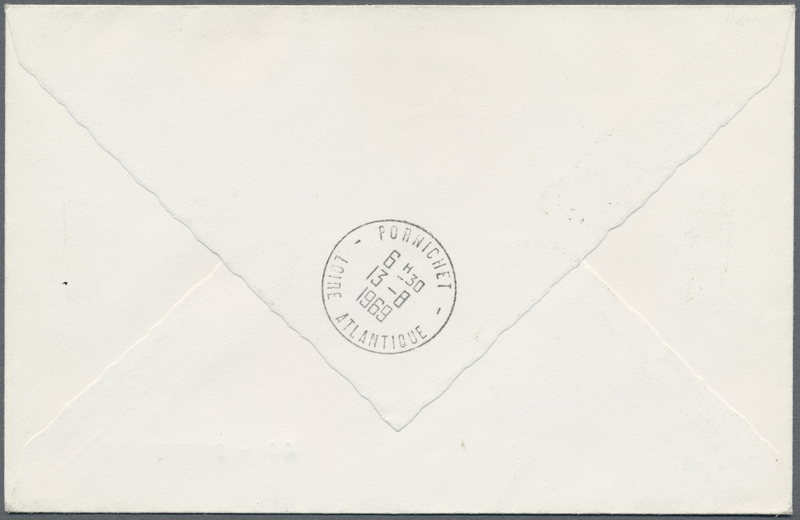 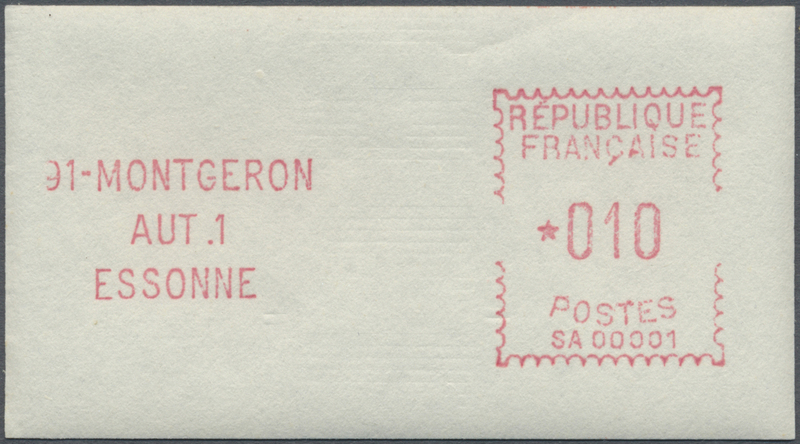 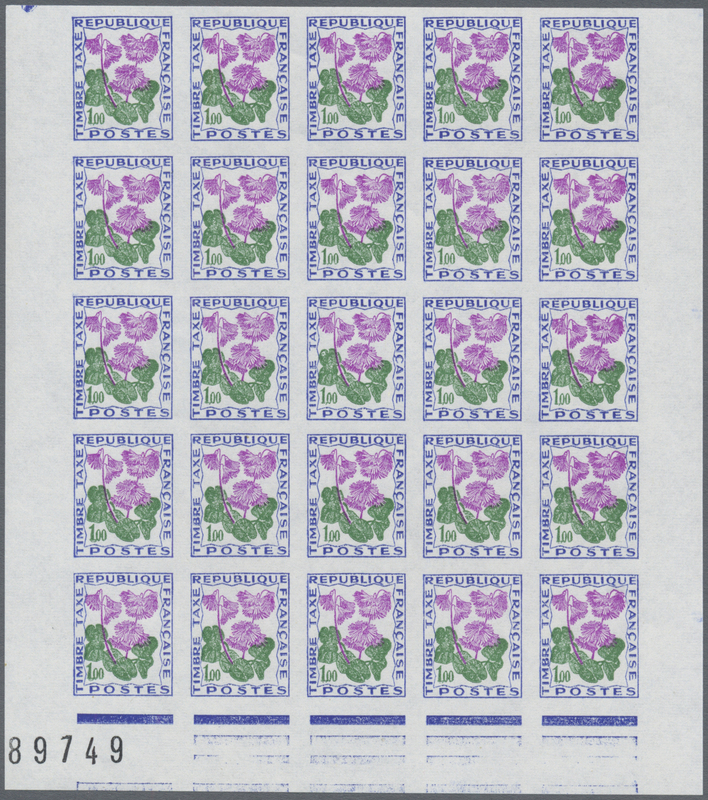 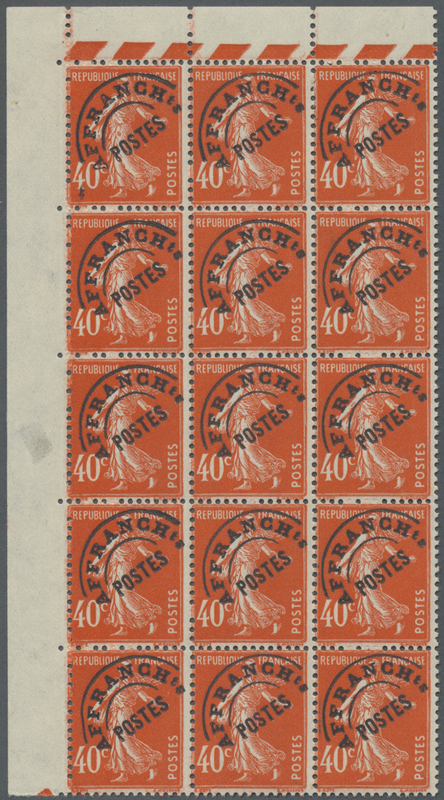 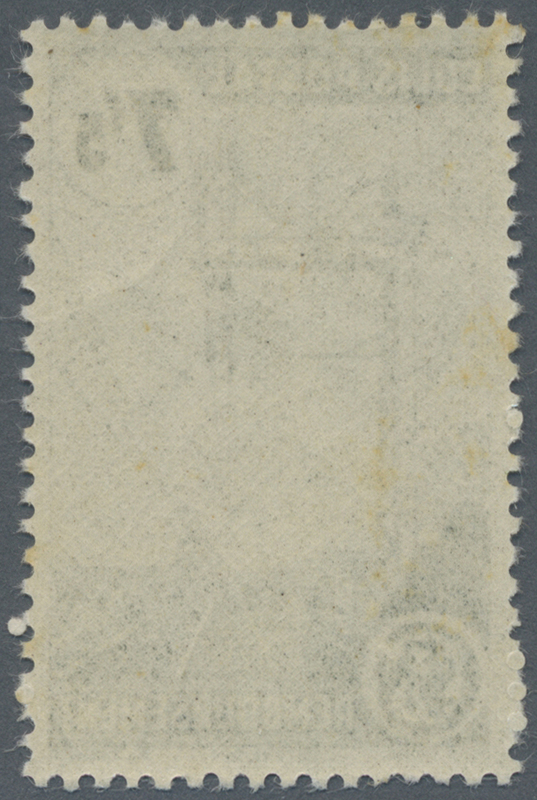 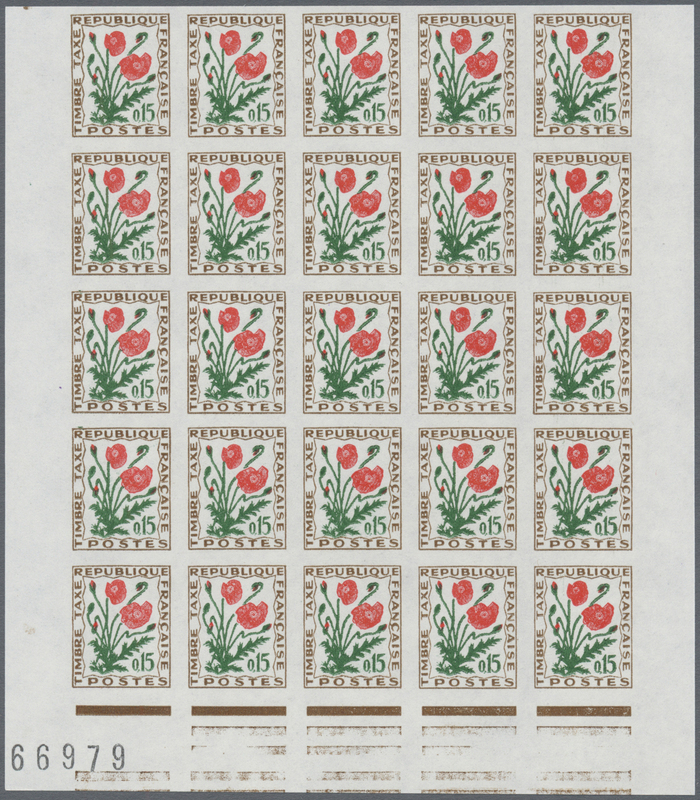 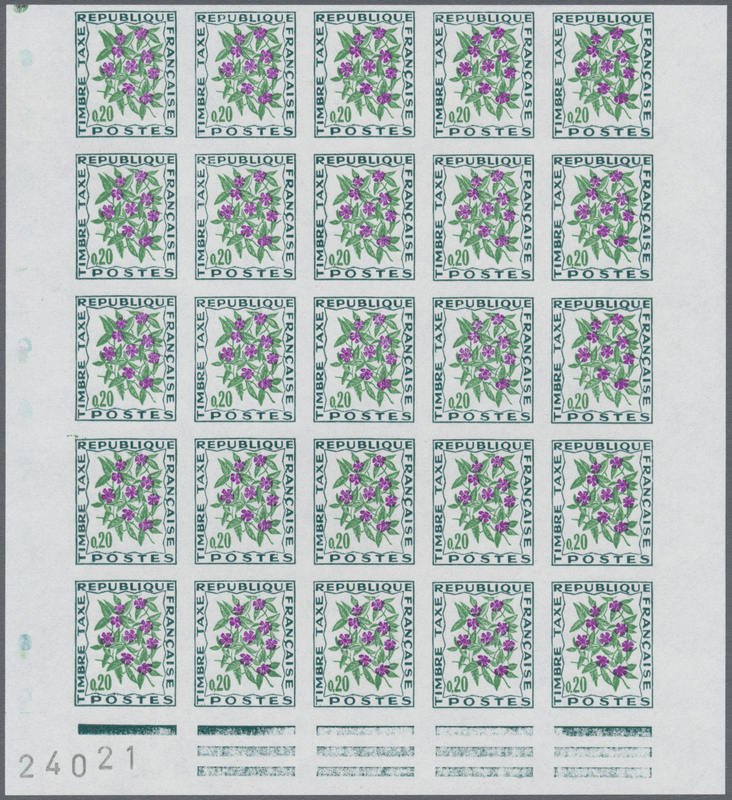 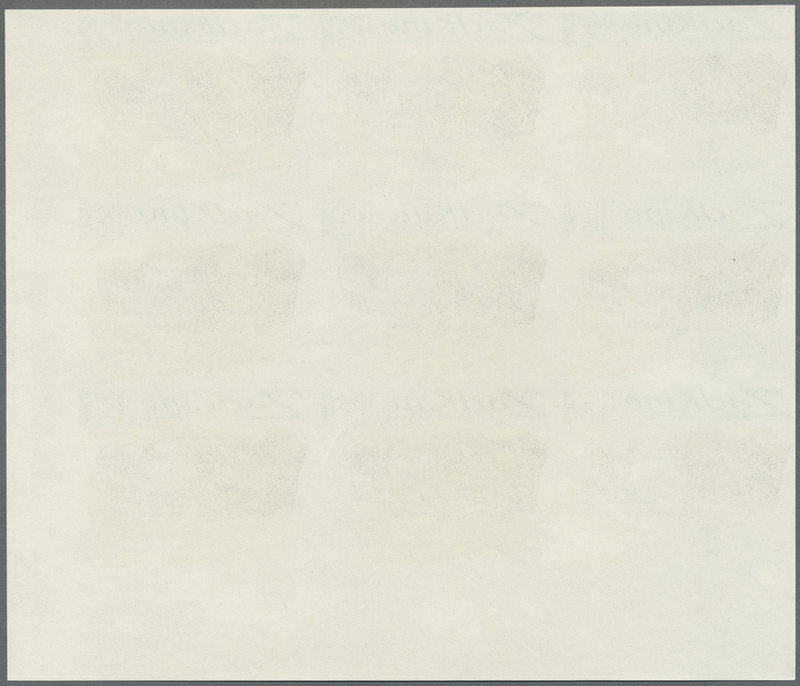 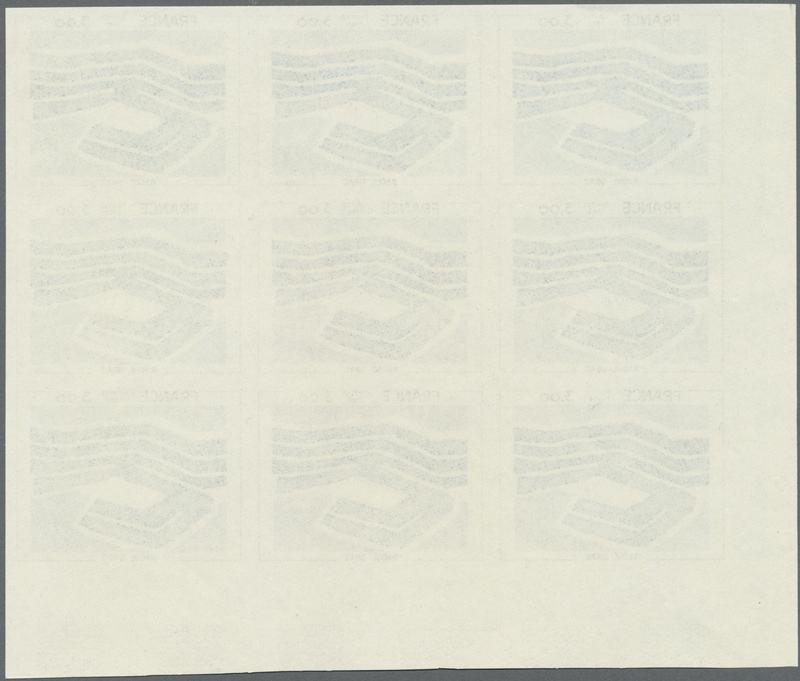 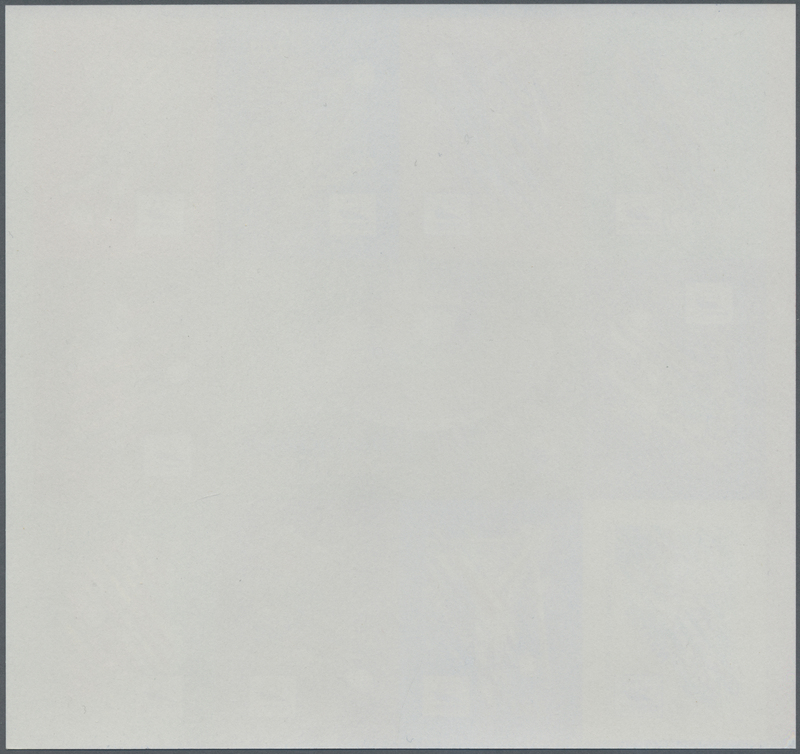 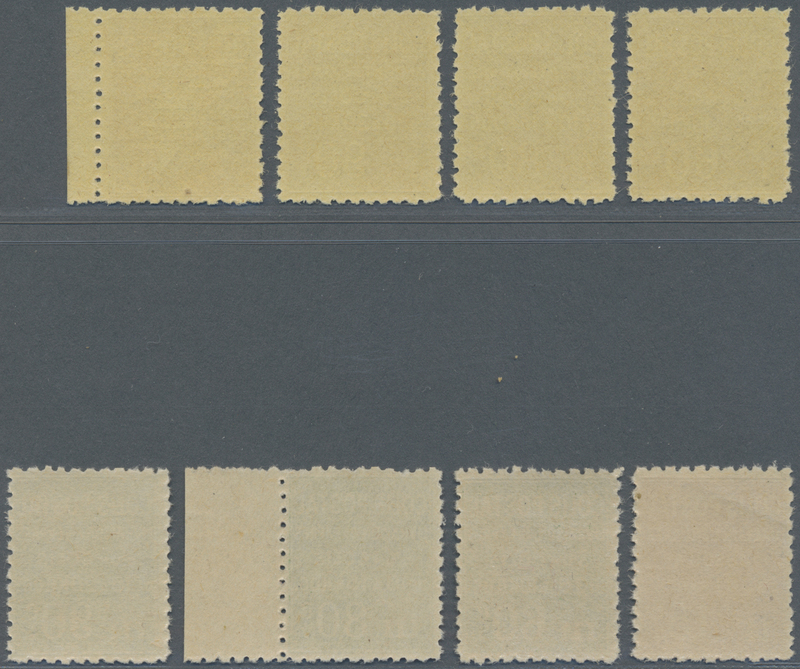 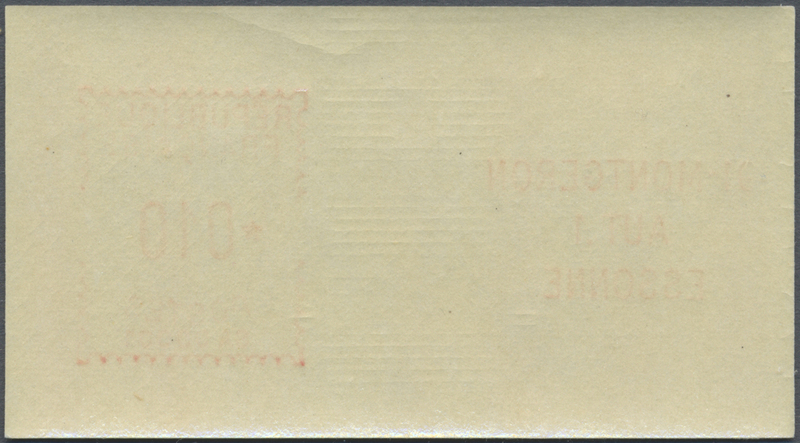 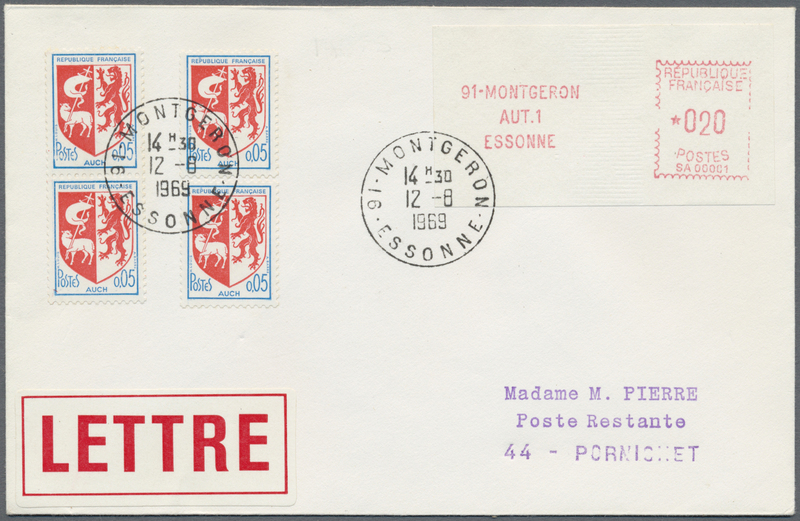 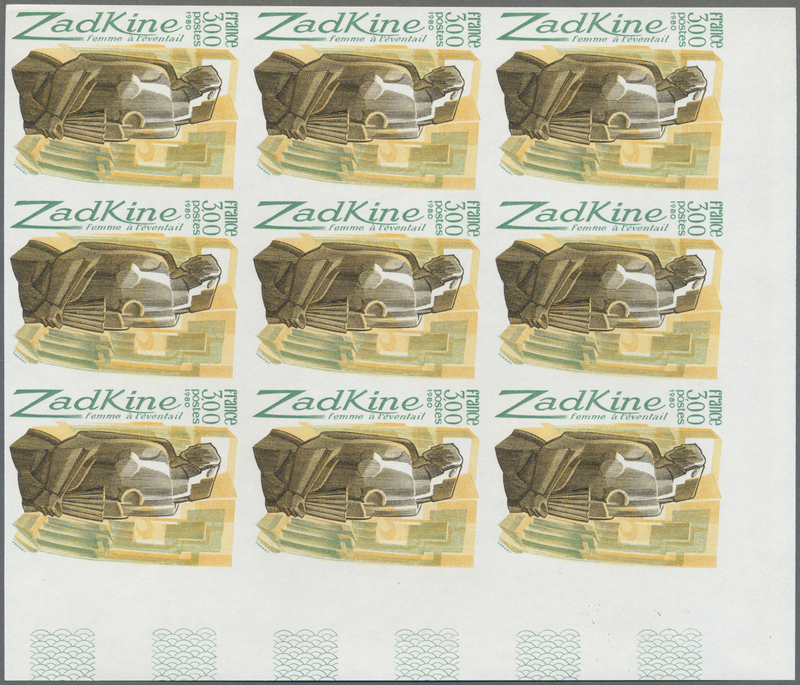 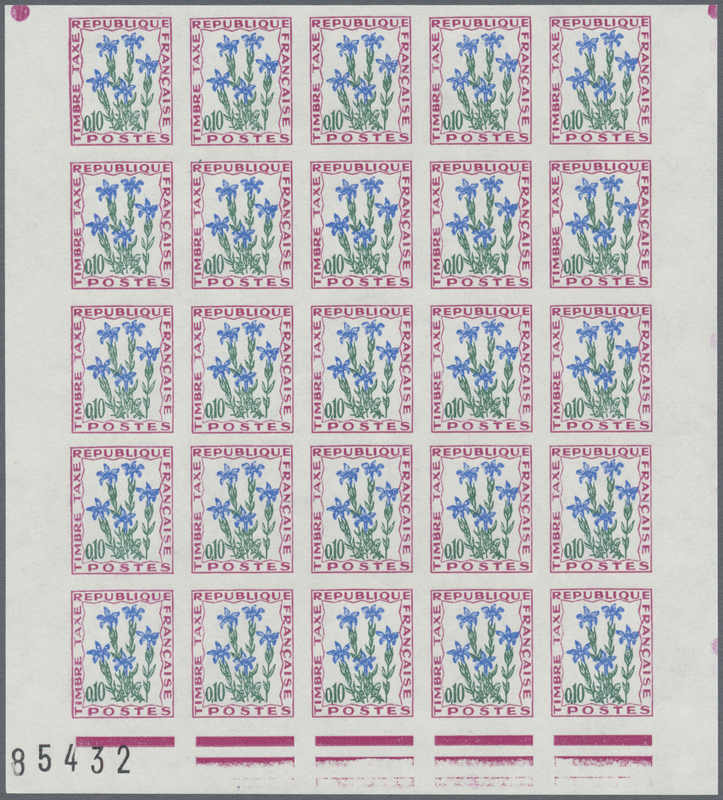 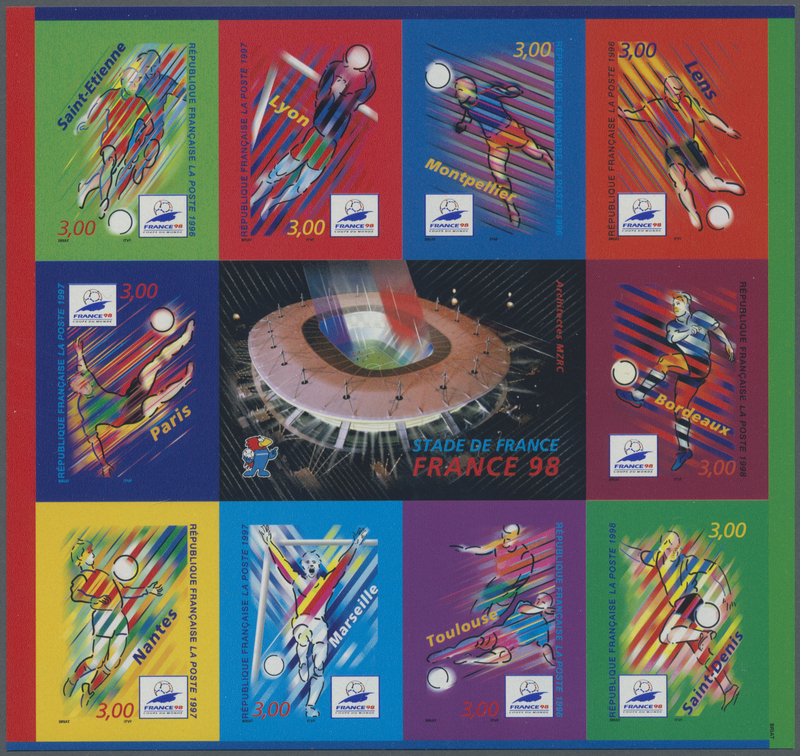 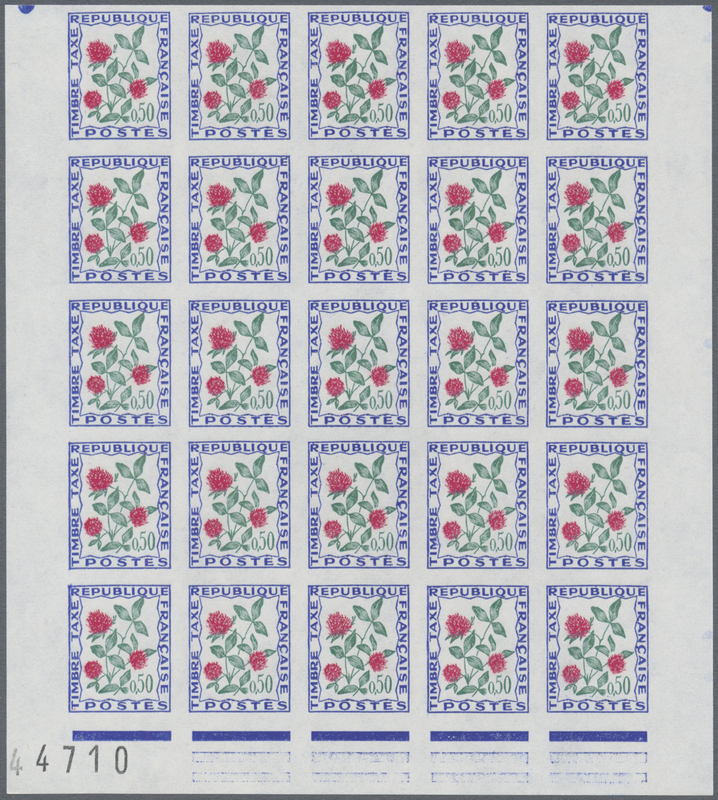 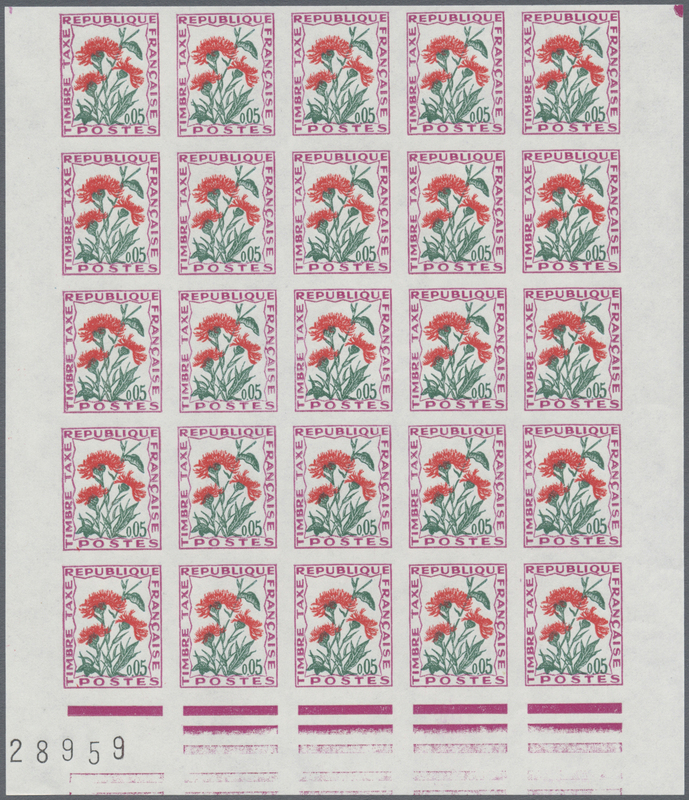 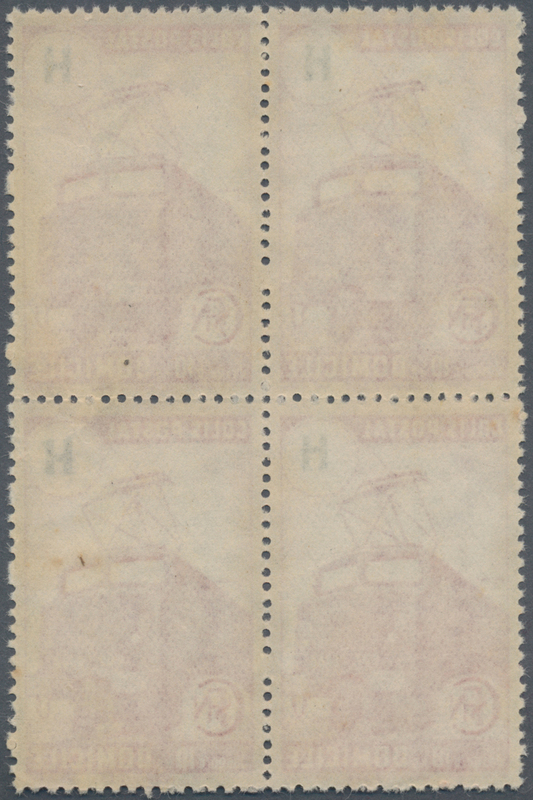 15930 postfrisch (never hinged) ** 2249 1981, stamp day 1.40 Fr + 0.30 Fr, sheet with 25 various color samples, imperforated and gummed, light corner fold. 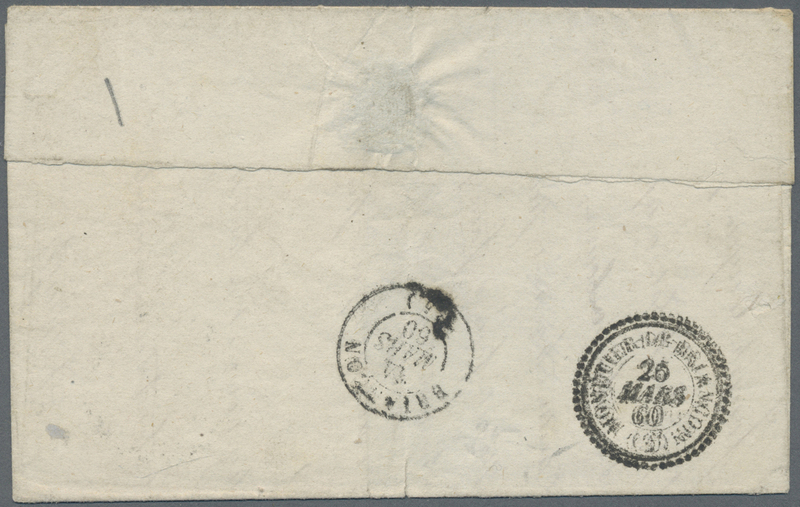 15931 ungebraucht ohne Gummi (unused without gum) (*) 2955 epr. 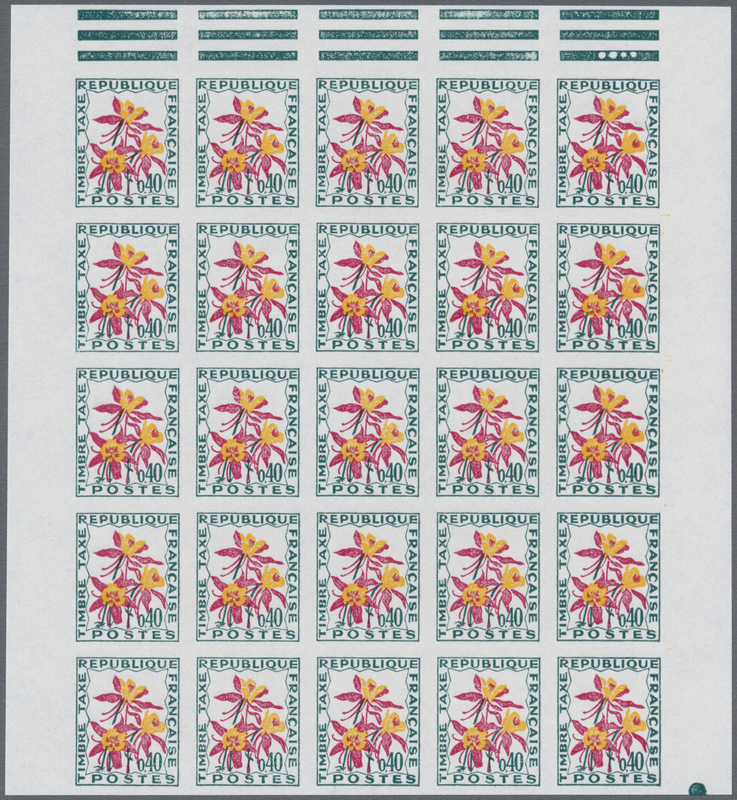 1993, 40th anniversary of the death of Django Reinhardt as Èpreuve d´artiste with printed name. 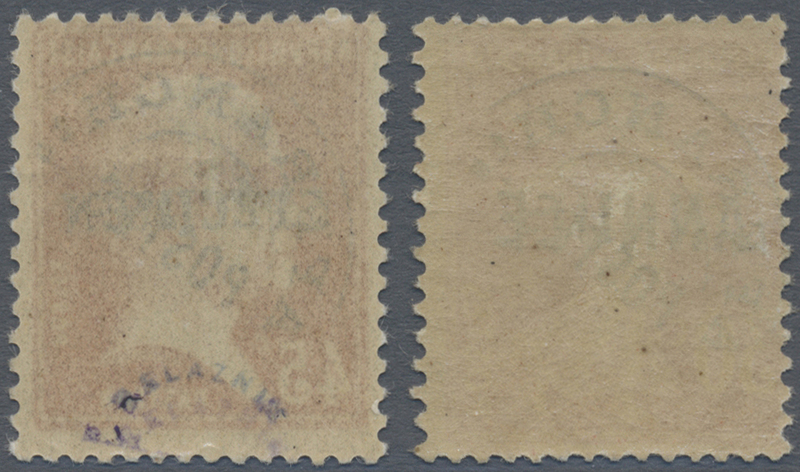 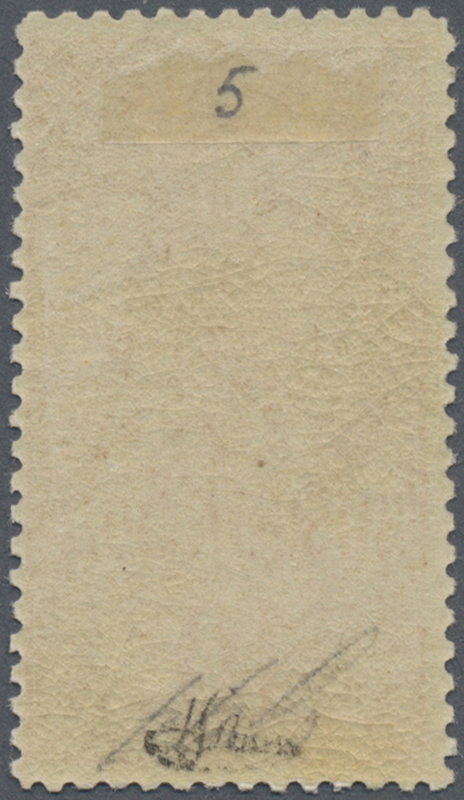 15938 postfrisch (never hinged) ** 1921/1923, 5fr. 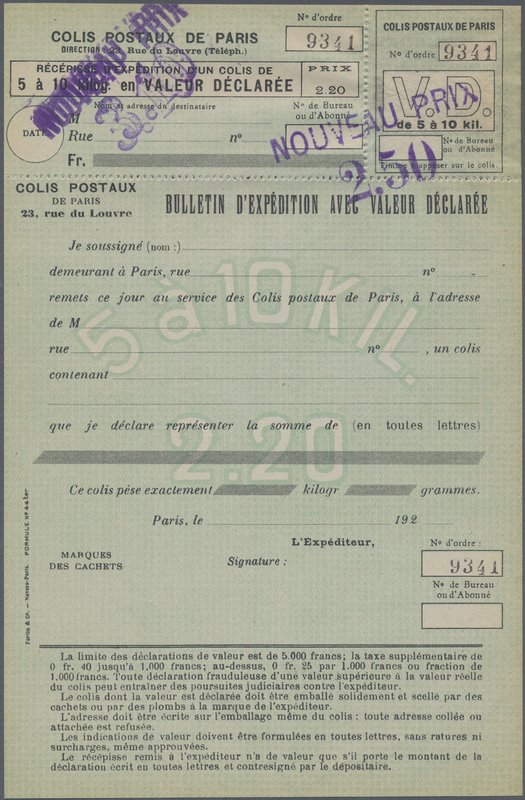 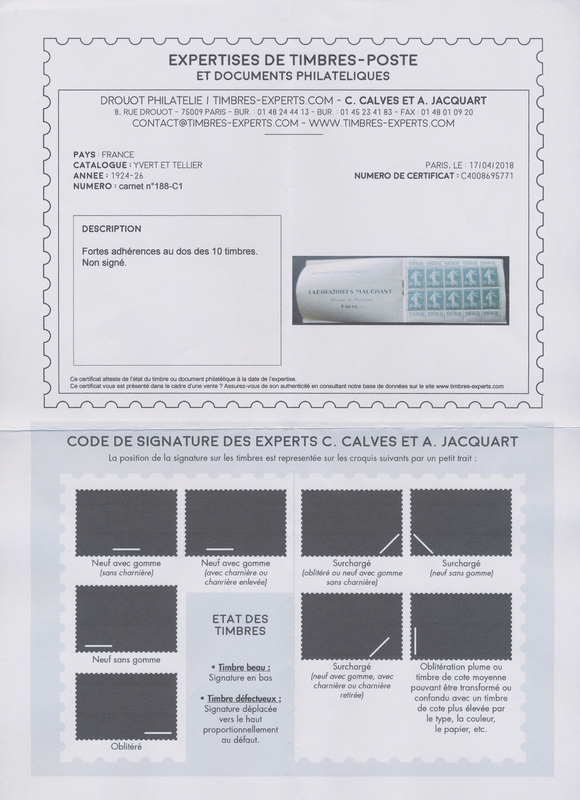 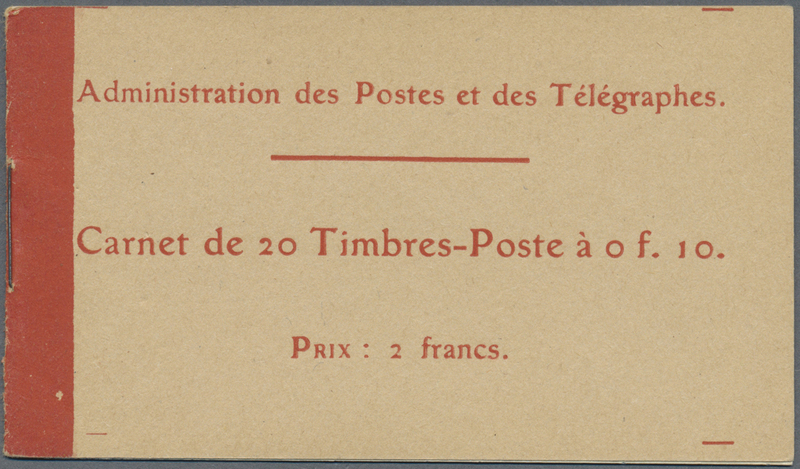 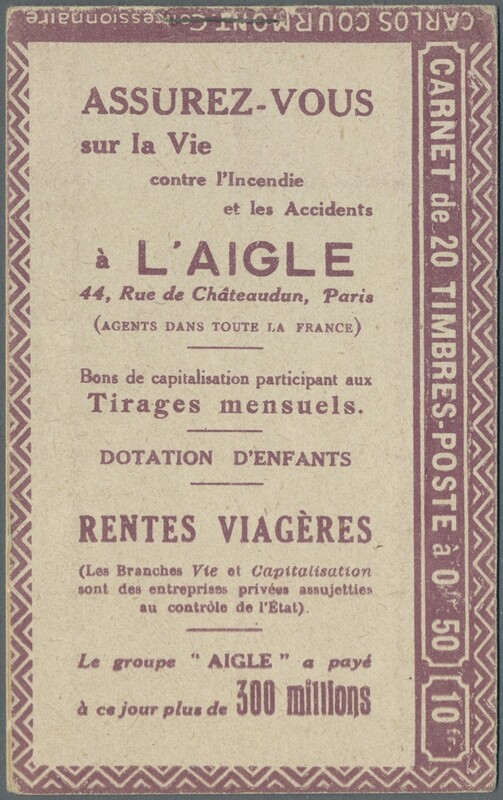 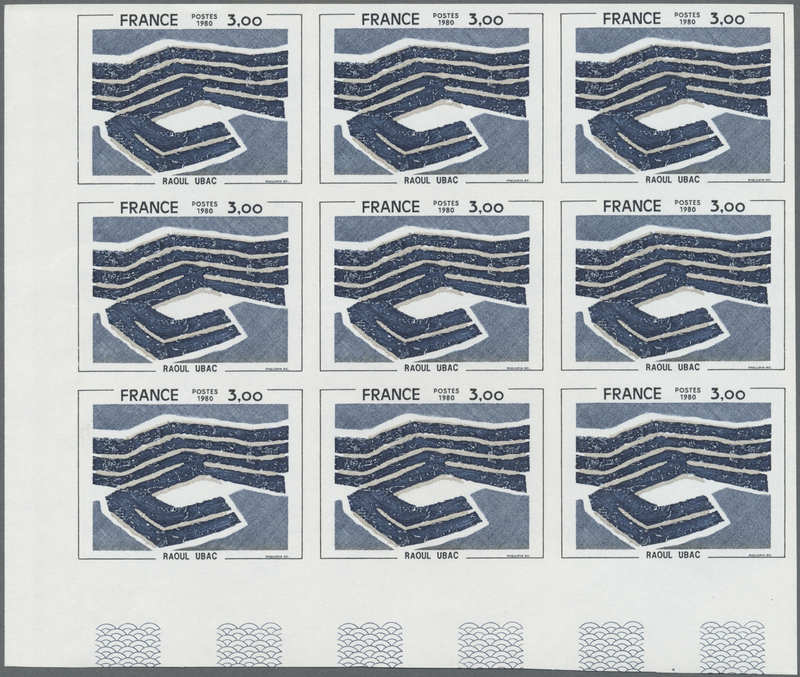 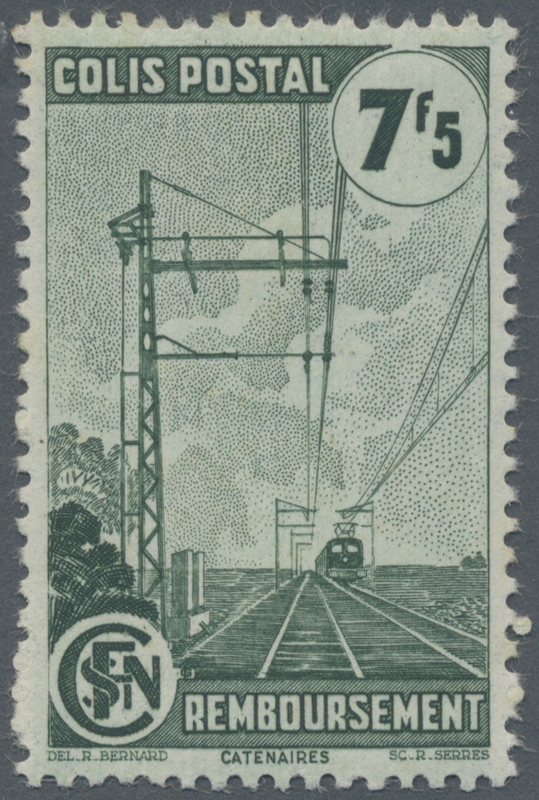 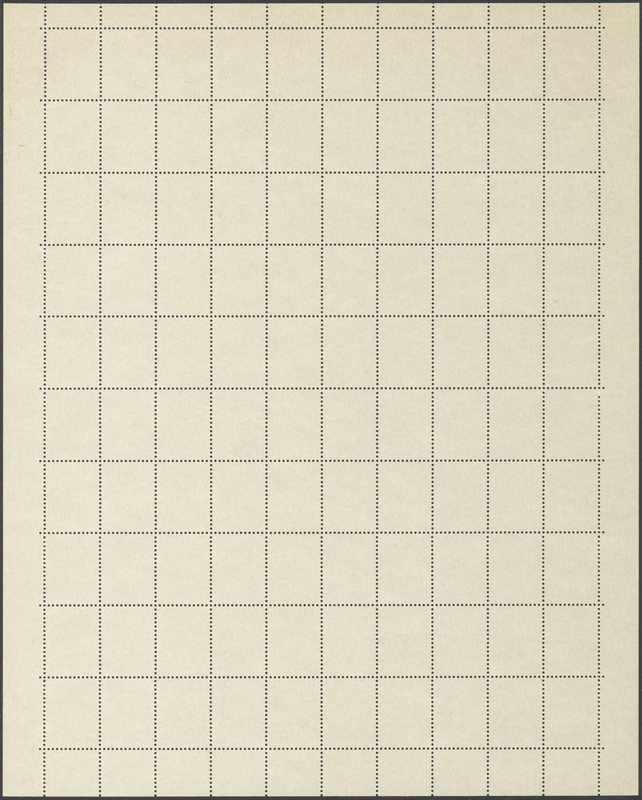 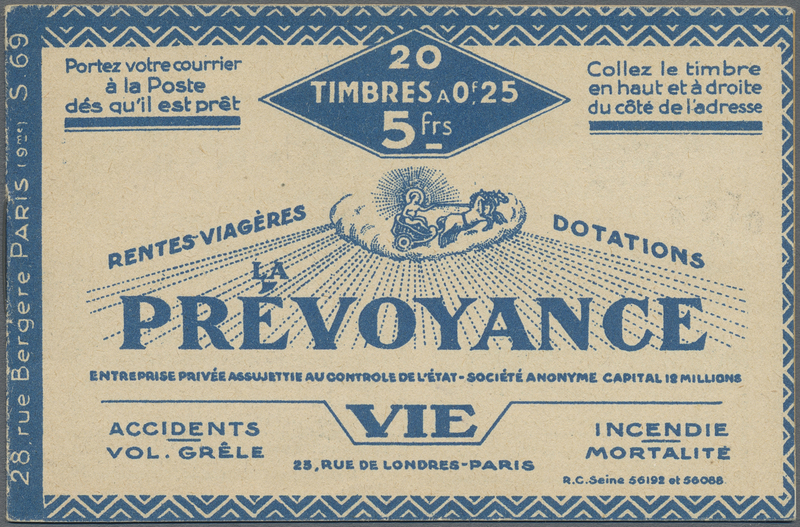 booklet "LA PREVOYANCE / PRIME NATIONALE" comprising pane of 2x10x25c. 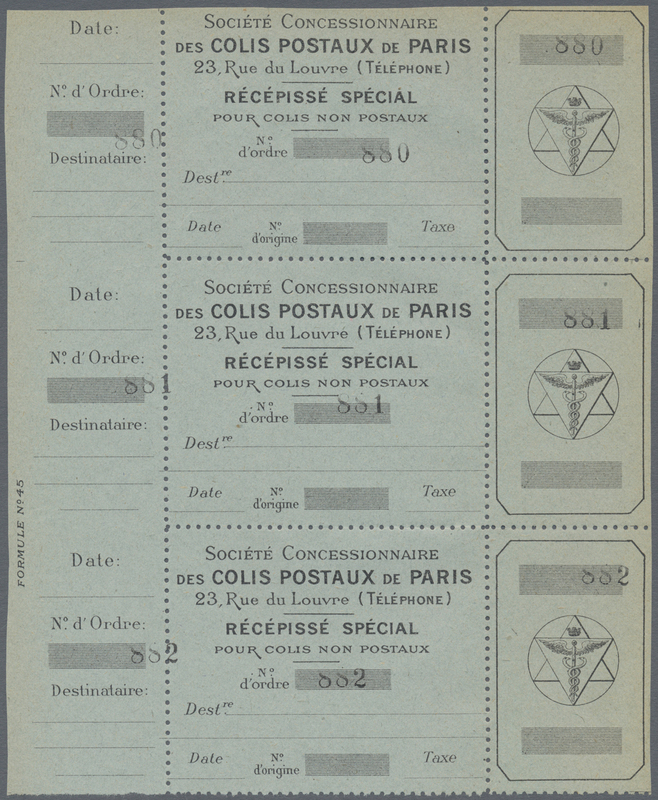 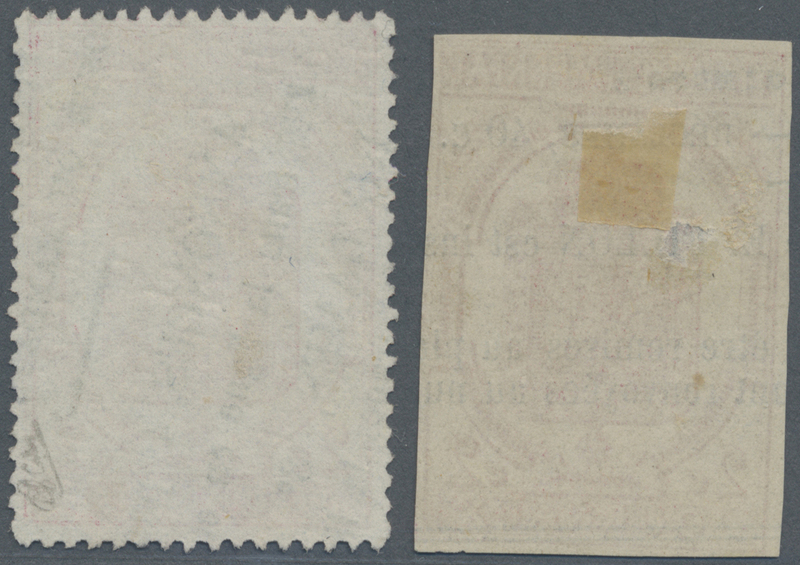 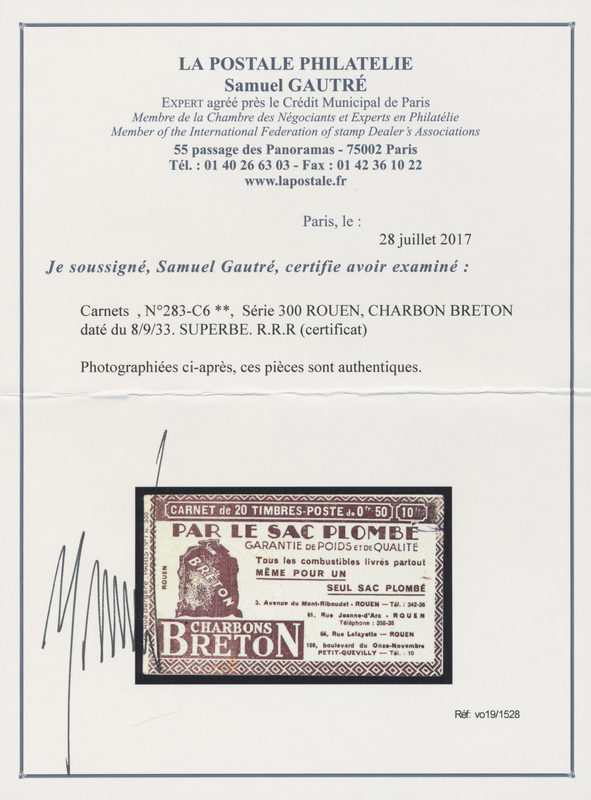 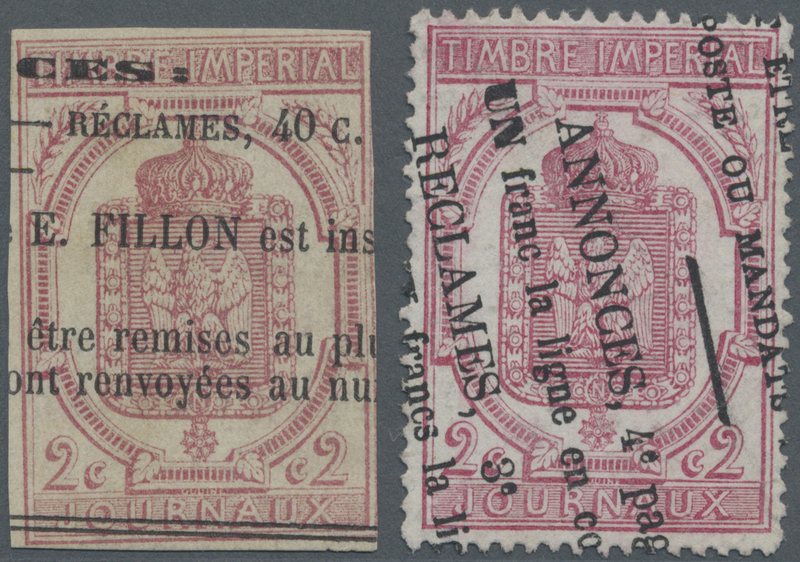 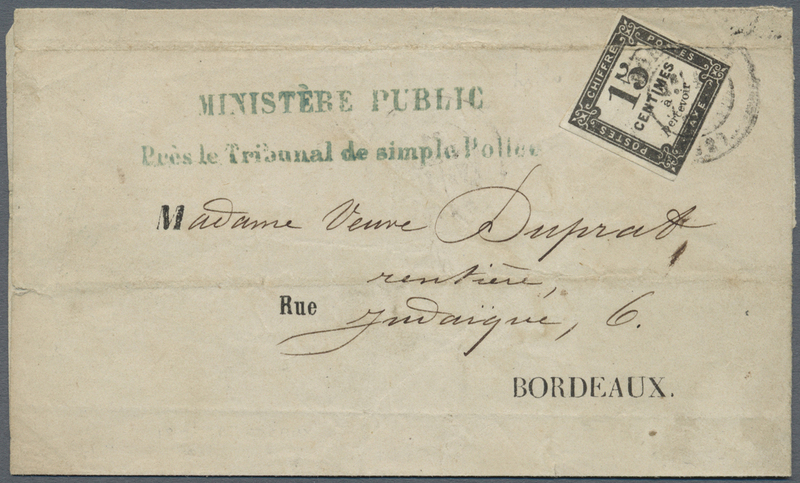 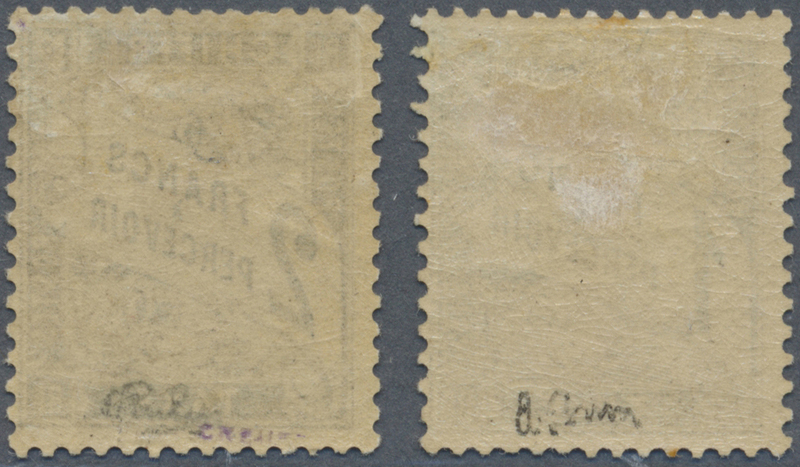 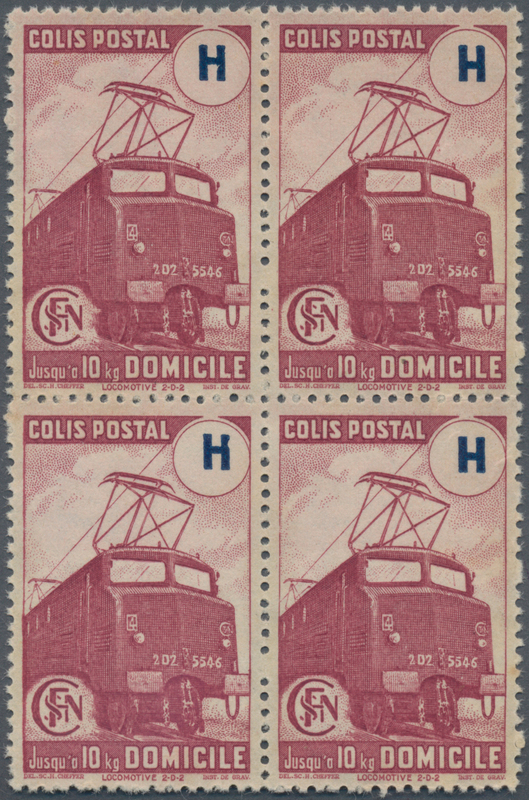 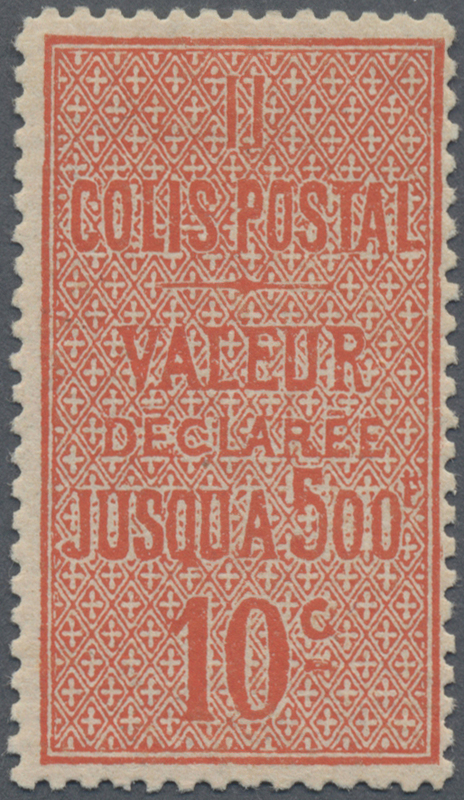 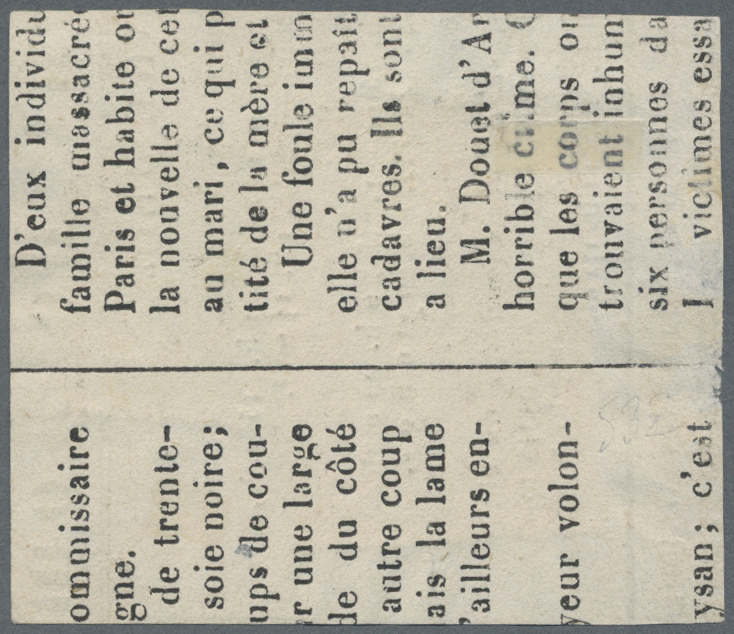 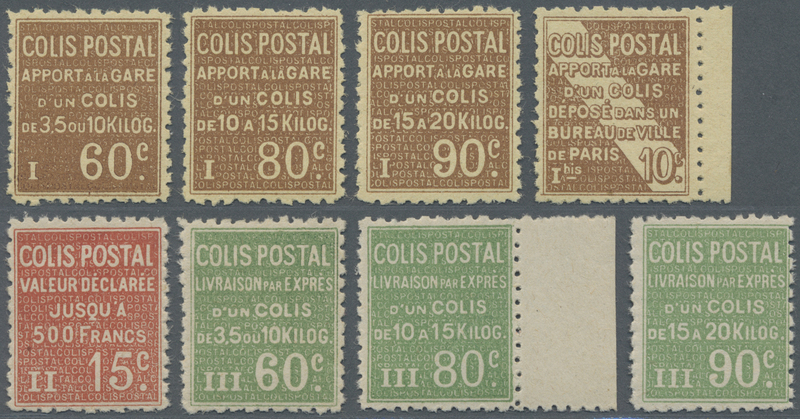 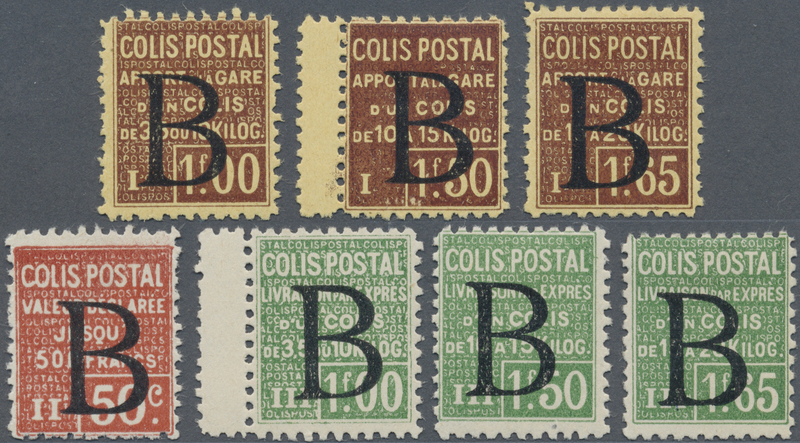 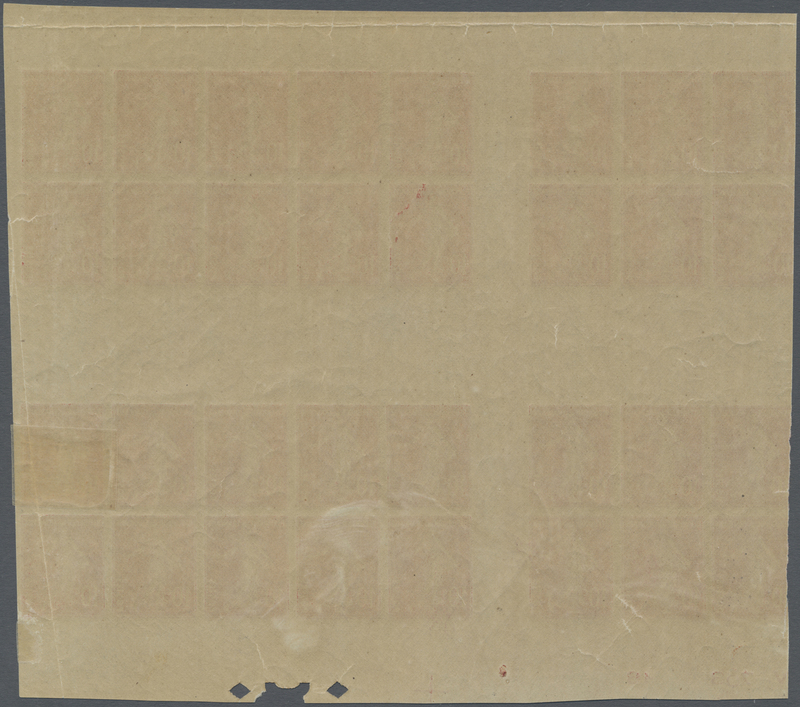 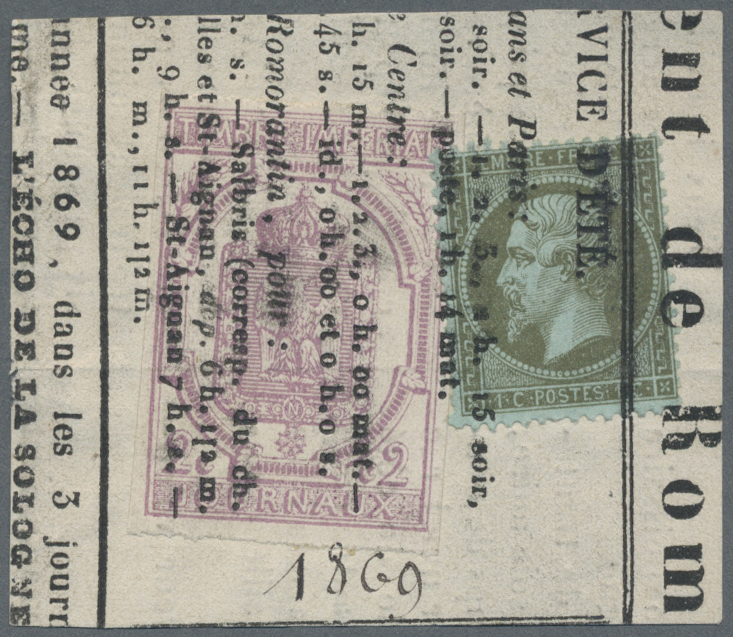 Semeuse camee (publicitaires "Benedictins", "Biscuits-Olibet", "Grey-Poupon", "Source Agreable-Bassin de Vichy"), one side of cover faint pen mark/surface rub (irrelevant). 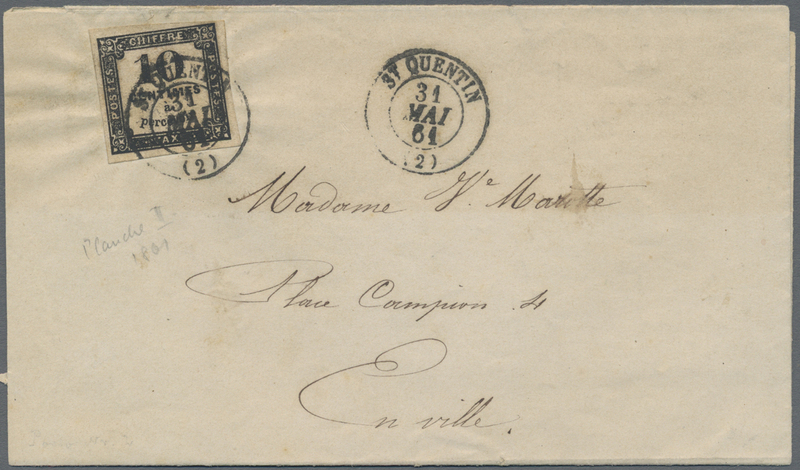 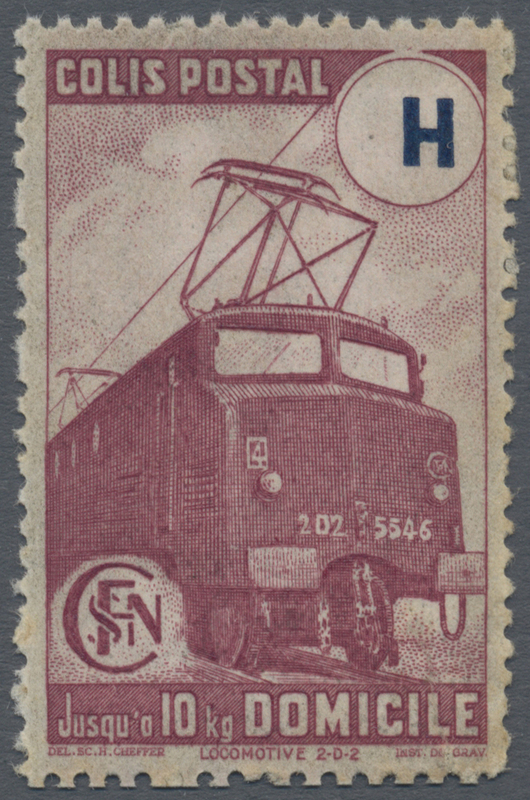 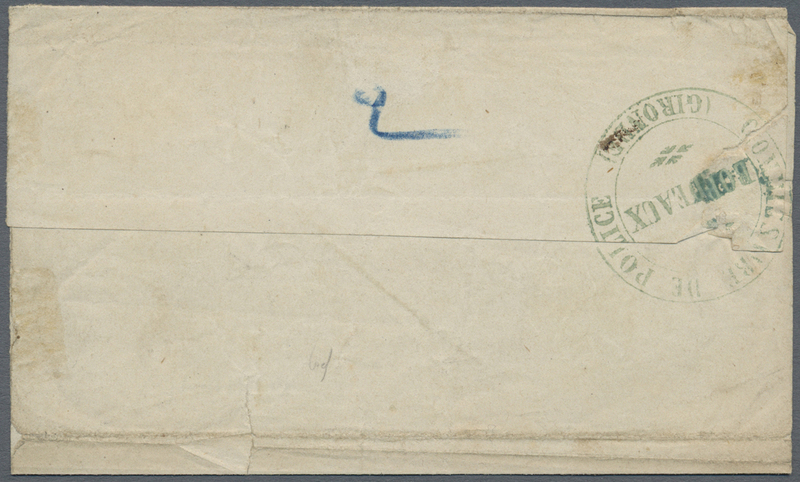 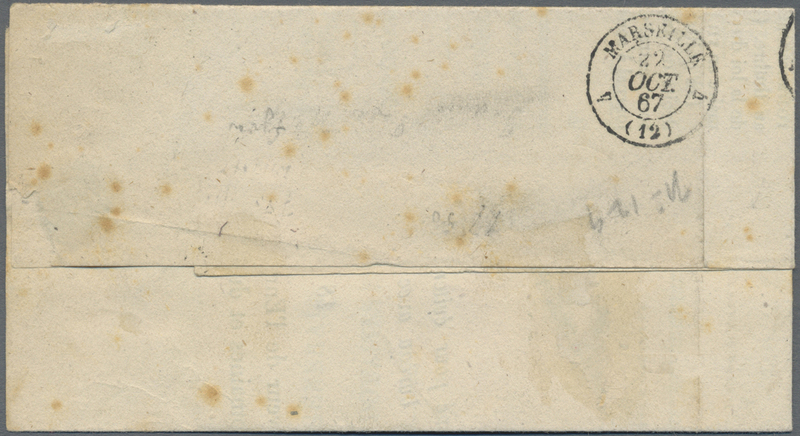 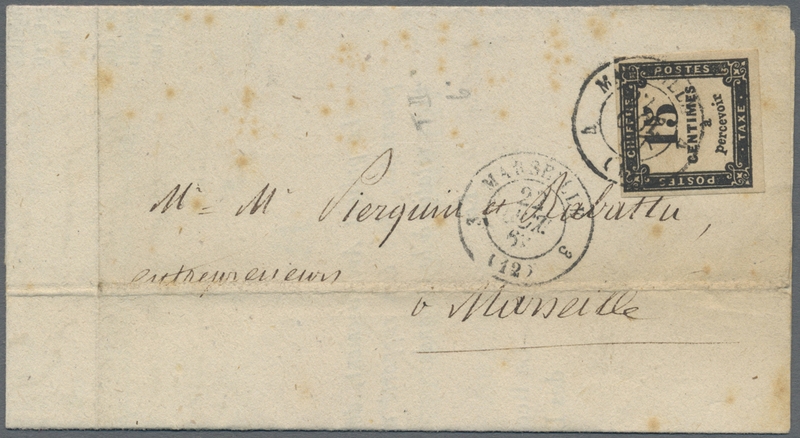 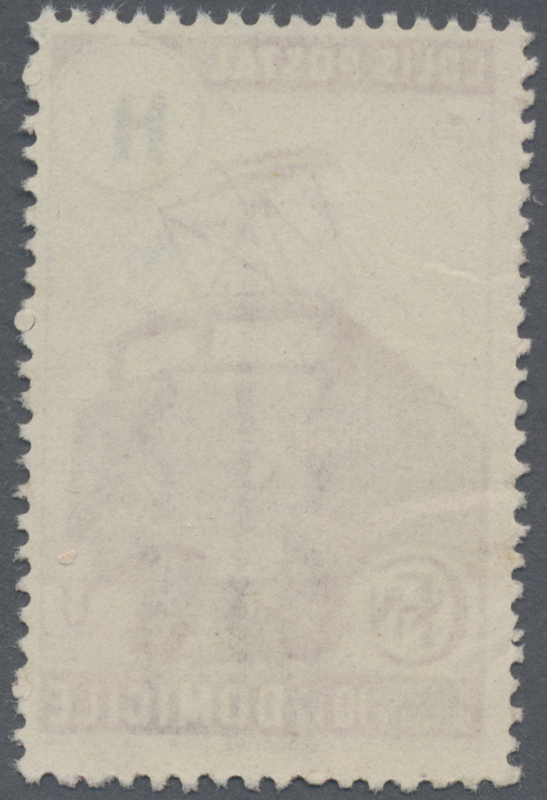 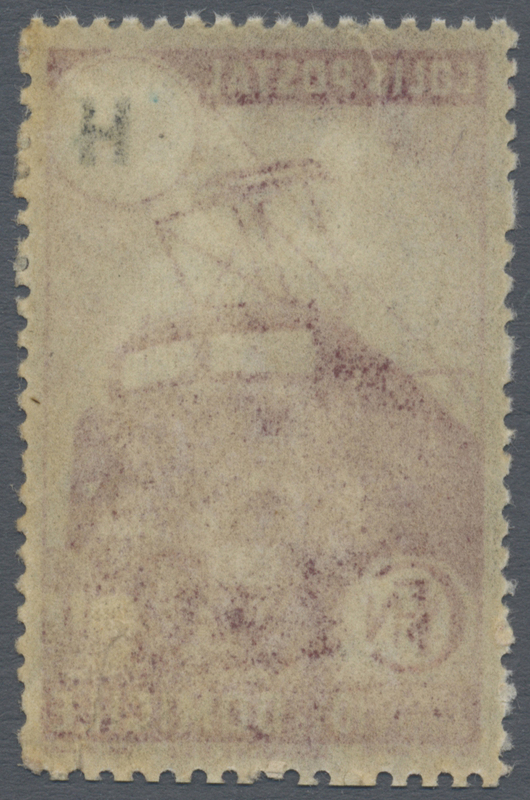 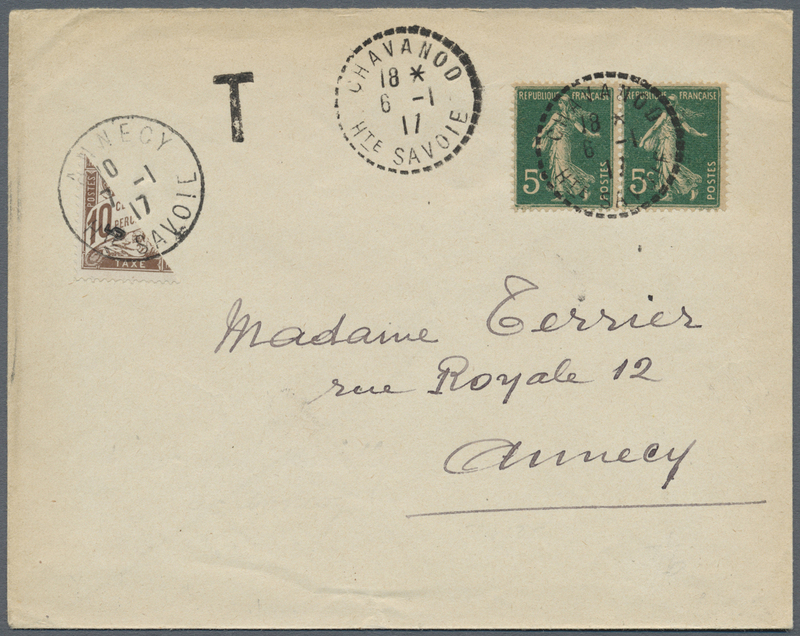 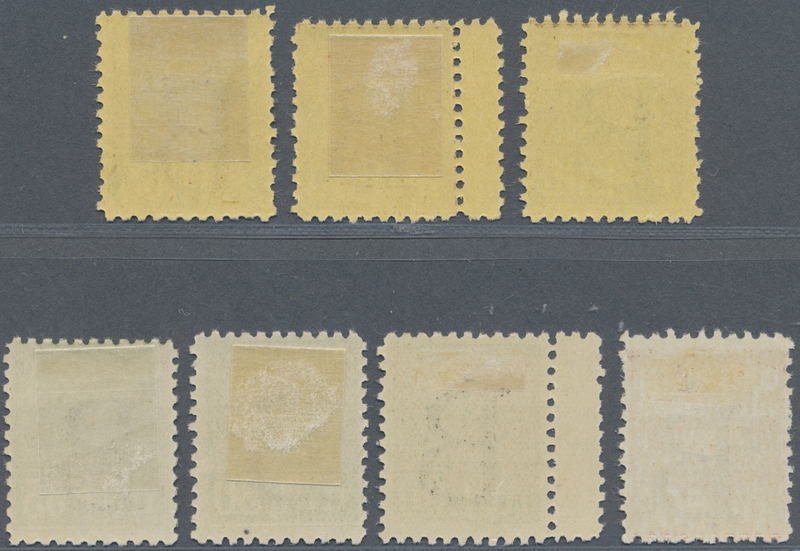 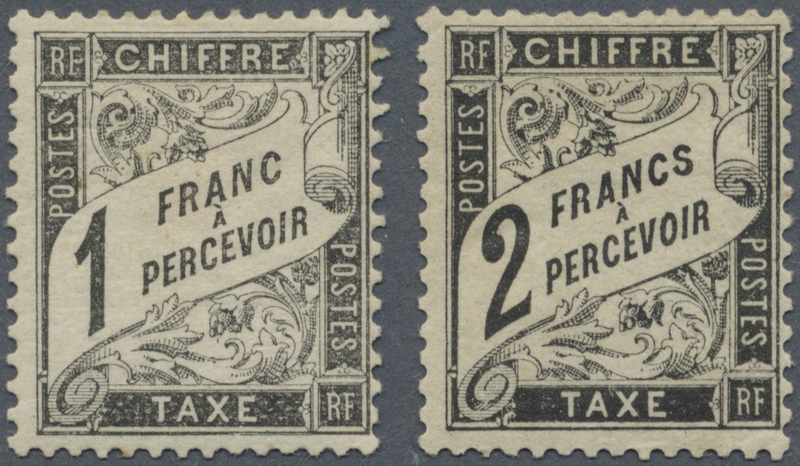 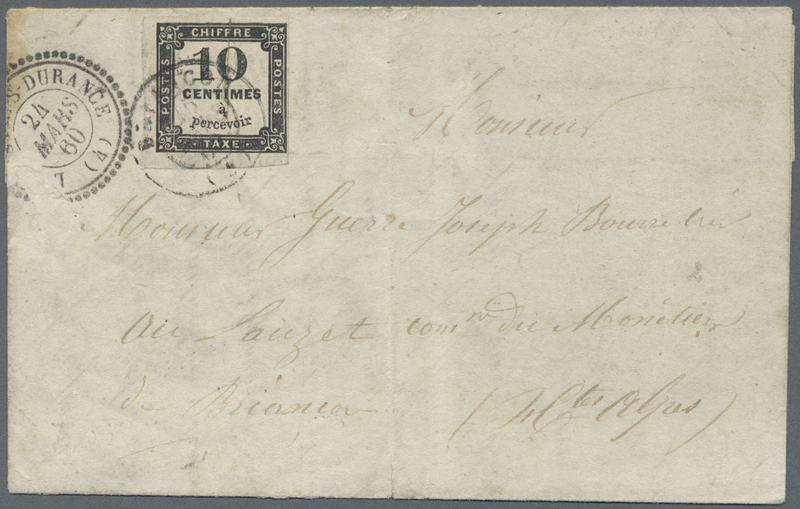 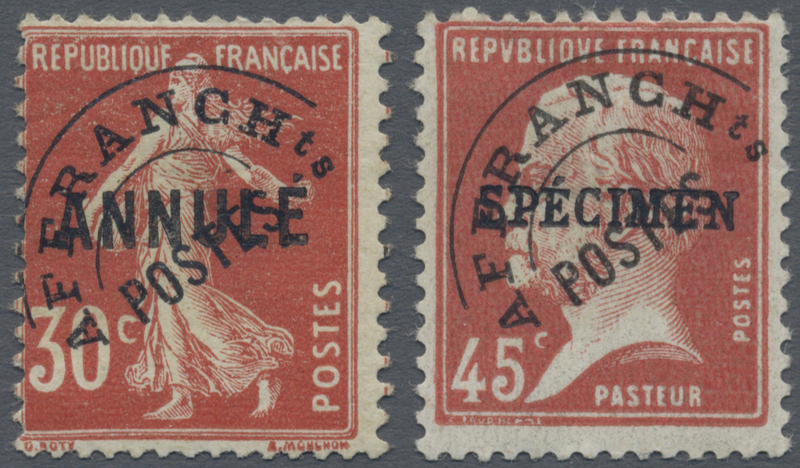 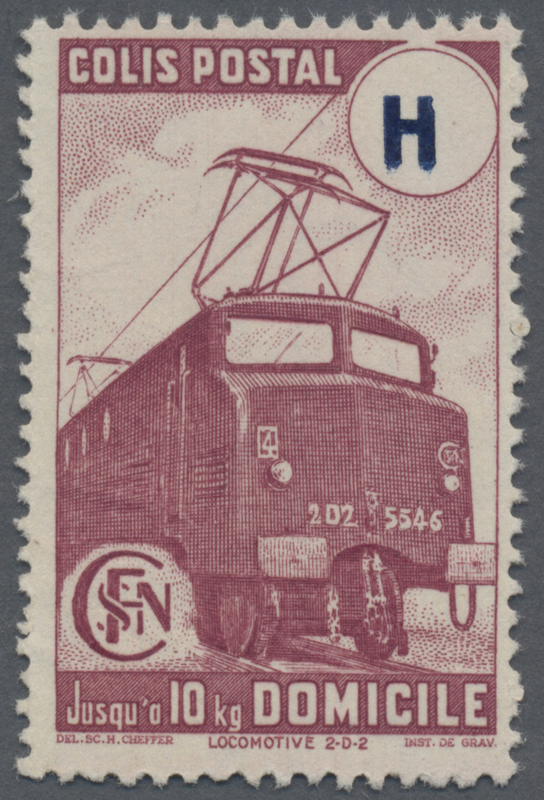 15941 postfrisch (never hinged) ** Maury 6 1927, 1fr. 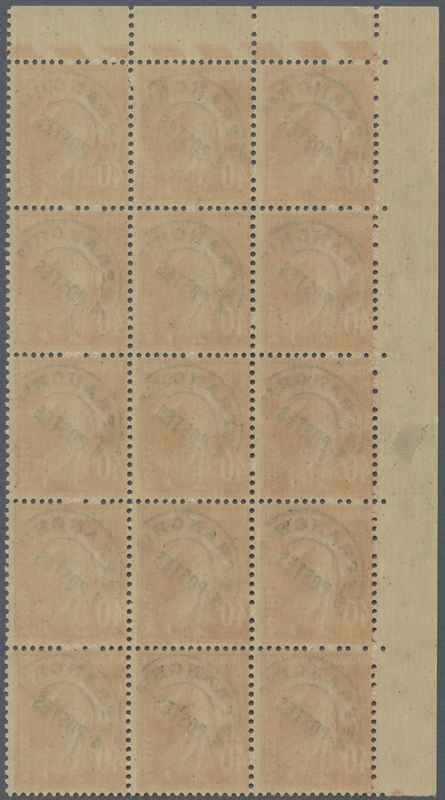 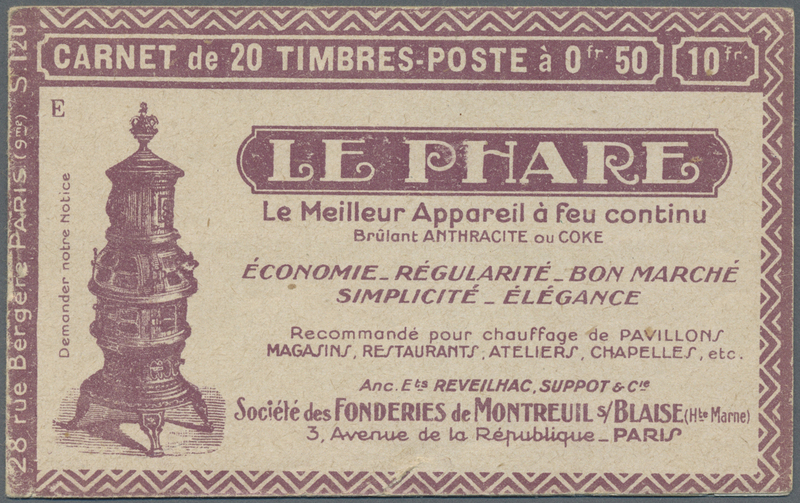 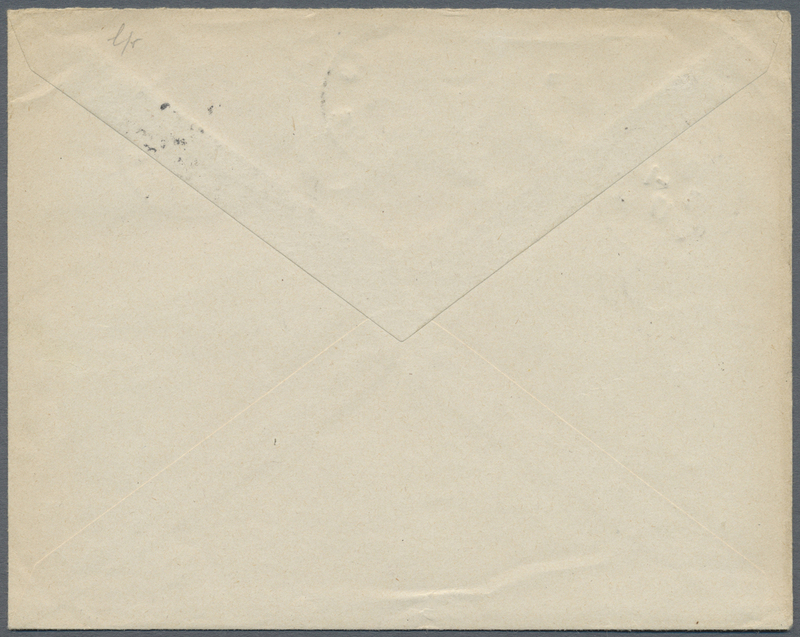 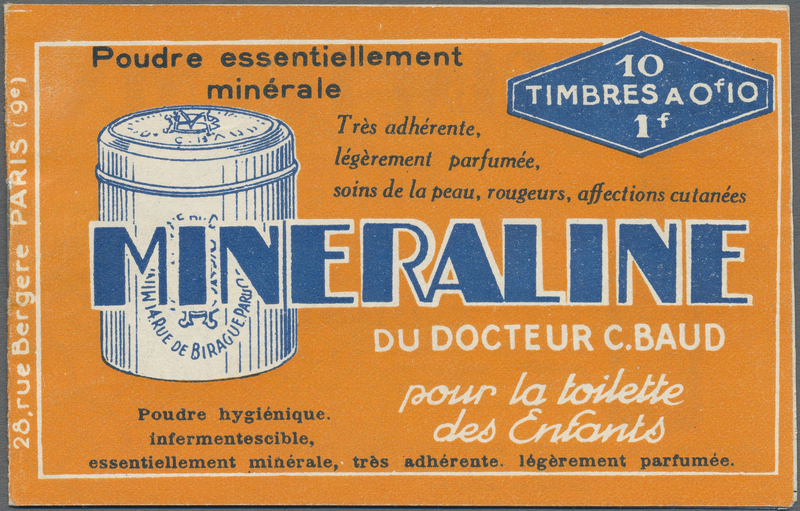 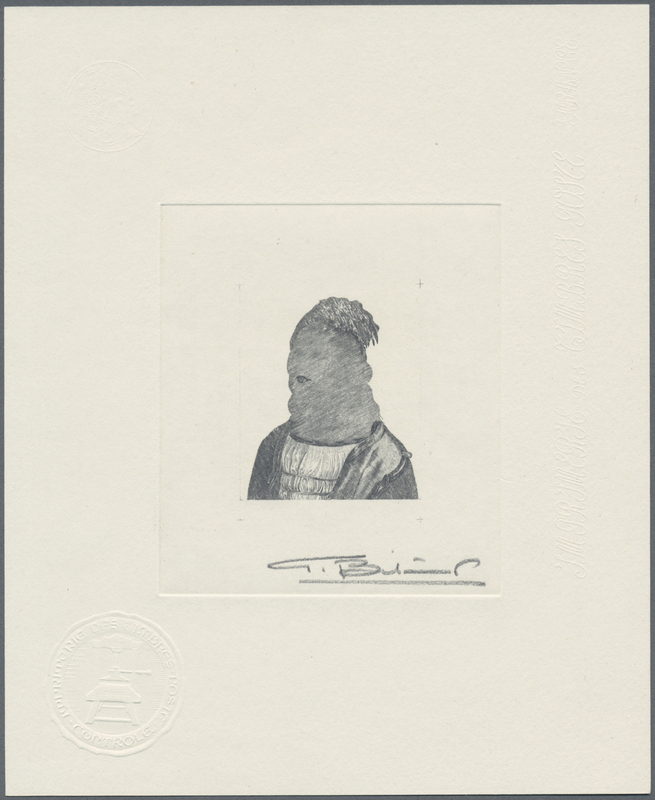 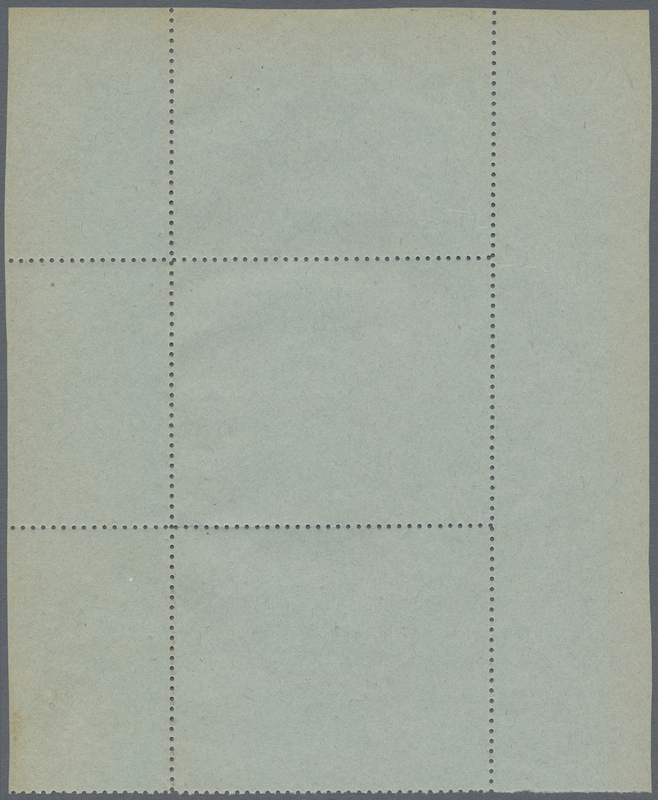 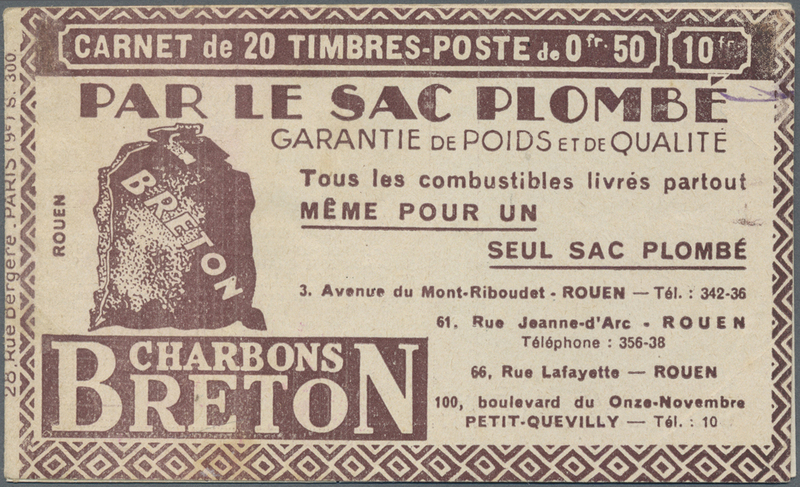 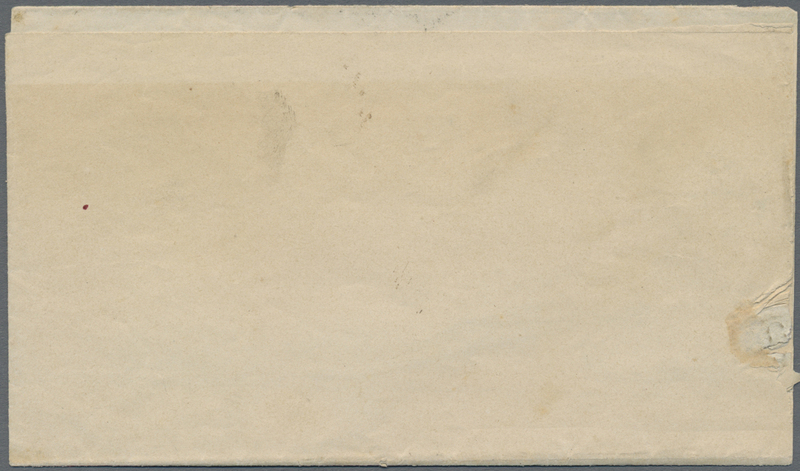 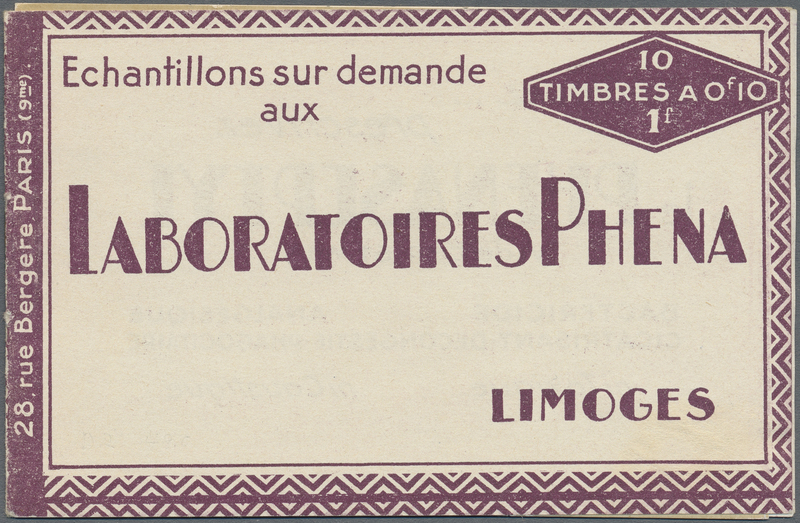 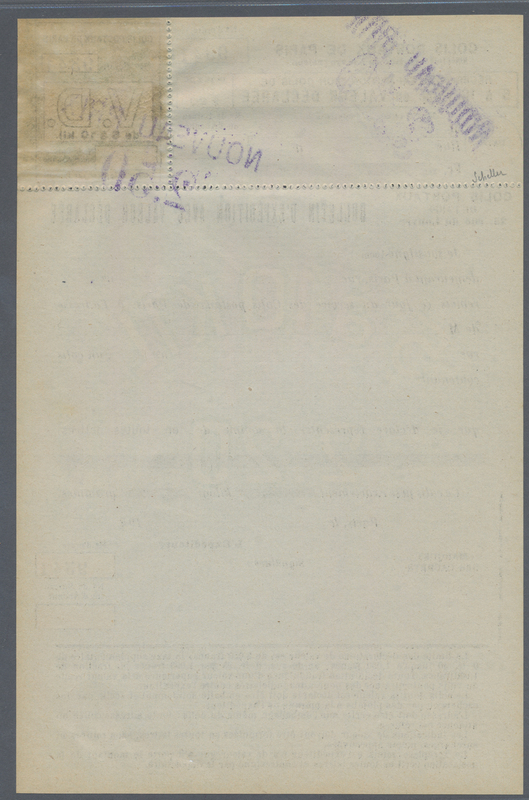 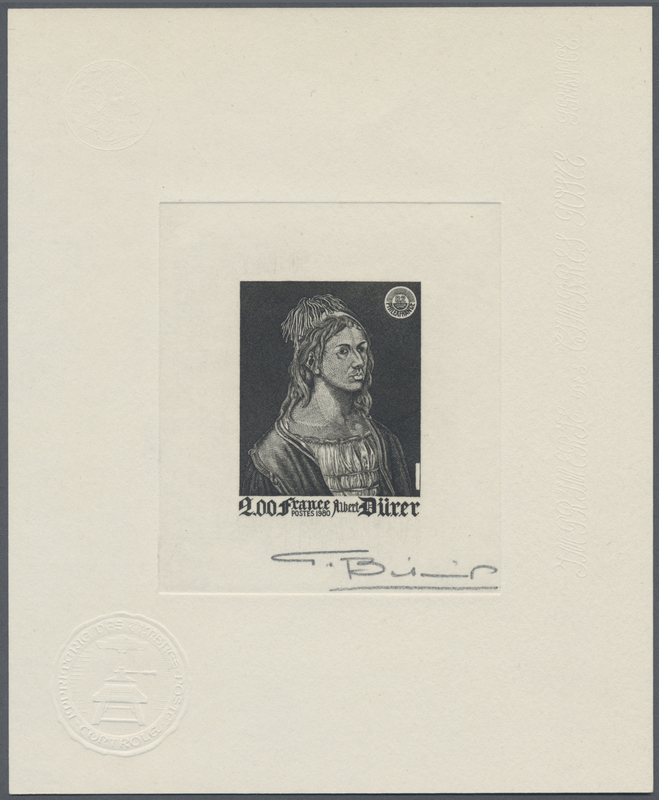 booklet "LABORATOIRES PHENA" comprising pane of 10x10c. 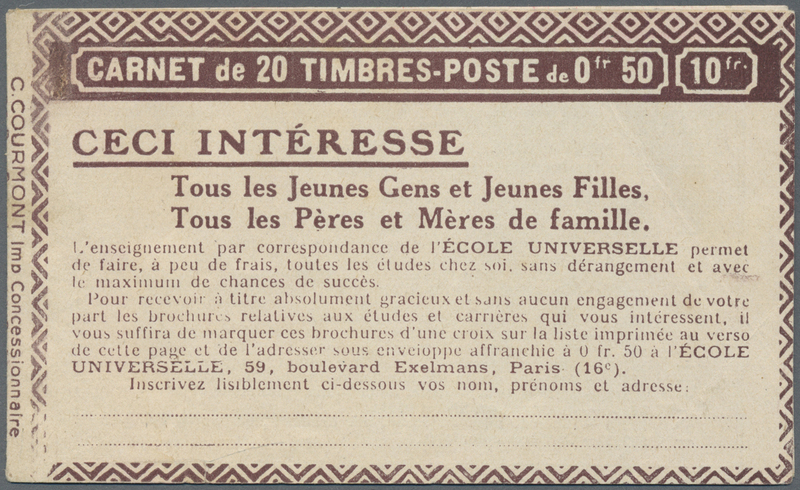 Semeuse camee (publicitaires "Ovules Phena", "Phena Septyl"), pane has gone loose.